The Express Killer is the sequel to Murder in the Hotel Lisbon. It follows the classic point and click adventure formula from the 80’s and 90’s. The game itself runs at a native resolution of 256x192, the same resolution used by the old ZX Spectrum 48k and the Nintendo DS. Someone has been killing passengers on the express train from Lisbon to Porto, every single day since Tuesday! Someone needs to stop the killer! Once again Garcia is not up to the task (was he ever?) and reluctantly calls upon his old friend and his strange flying sidekick: the mythical Detective Case and the unmistakable Clown Bot. Together, they will board on the express train, bother everyone by asking annoying questions, pick up everyone’s belongings and call them clues, drink and eat for free at the bar (because they are working after all!) and if all goes well, find and stop the express killer. Oh, and they have to babysit Garcia’s kid because his mom is in Porto and Garcia is busy and since they are taking the train to Porto they might as well take him with them. What could go wrong, right? Time for you to board on a brand new adventure filled with humor, cases (this time many cases! ), mysteries, and even more characters now than ever before! Will you be able to gather clues, solve the puzzles, succeed the trials, and find the culprit before reaching the final station?! With the mythical Detective Case, also known as the world worst detective, a man so rough and rude that his witnesses would rather be run over by a slow-moving freight train than to be questioned by him. The hilarious Clown Bot who, although he works as a Detective Case’s sidekick, he hopes in reality that one day he will get a job as a circus clown. Unfortunately, and no matter how many applications he sends, no circus will ever accept a clown that is afraid of children. He never sleeps, so besides working by day as a sidekick, he also works by night as a stand-up comedian in a local bar. People say that he is a joke machine! And Garcia’s kid, what’s his name? Billy Joel? What is he doing here? The Express Killer has MILLIONS of key features! 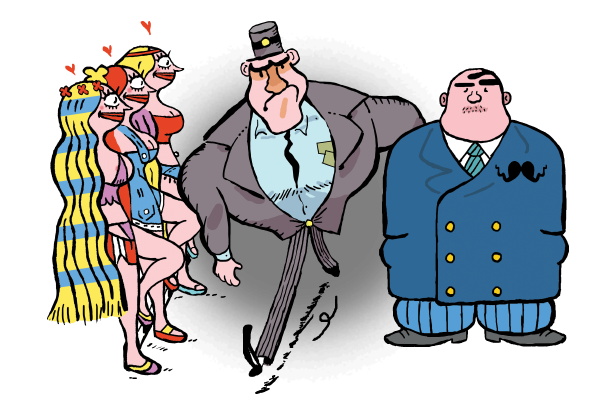 - Play as Detective Case and Clown Bot. - Search for clues and interview witnesses. - Crack witnesses in a demanding gameplay. - Take a rest, have a nap. - Find the express killer (no, really?). - Includes 3 additional cases. The reviews for our soundtrack in Murder in the Hotel Lisbon were so positive that we decided to give you an even better one this time! Once again, the music was composed and recorded specially for Detective Case and Clown Bot and features classical orchestra and modern rock. PS: We brought back the original soundtrack from the first game too, of course. Someone has been killing passengers on the express train from Lisbon to Porto, every single day since Tuesday! Someone needs to stop the killer! Detective Case and Clown Bot to the rescue! Time to gather clues, solve puzzles, succeed trials, and find the culprit before the final station! Detective Case and Clown Bot in: the Express Killer is an adventure video game entirely made in pixel art, for Windows, Mac and Linux. 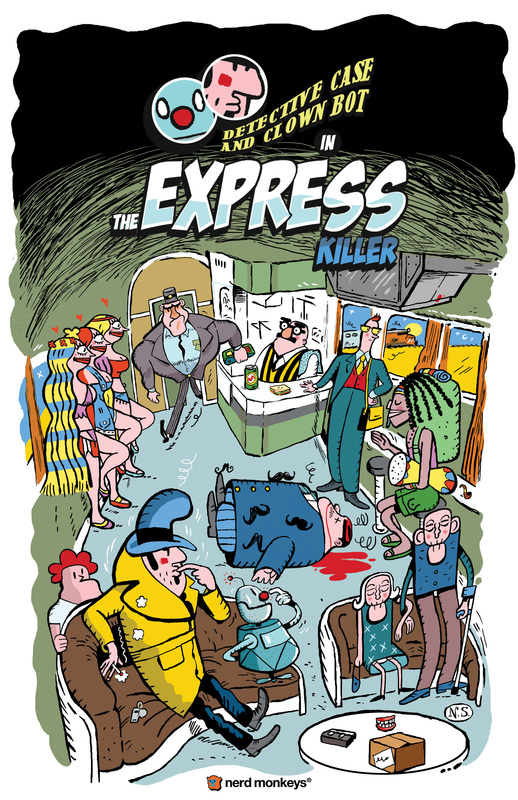 The Express Killer is the sequel to Murder in the Hotel Lisbon, out in 2013 and has, since then, sold more than 120.000 copies. With a price of 14.99€ / £12.99 / $14.99, The Express Killer will be available internationally in Portuguese and English on Steam, Valve’s digital store. It’ll come with the usual achievements, trading cards and due to the overwhelming love for the soundtrack, once again, the music was composed and recorded specially for Detective Case and Clown Bot and features classical orchestra and a track of “modern rock”. Even though this a sequel, we made it so that you can fully enjoy The Express Killer without having to play Murder in the Hotel Lisbon! Like, COOL!